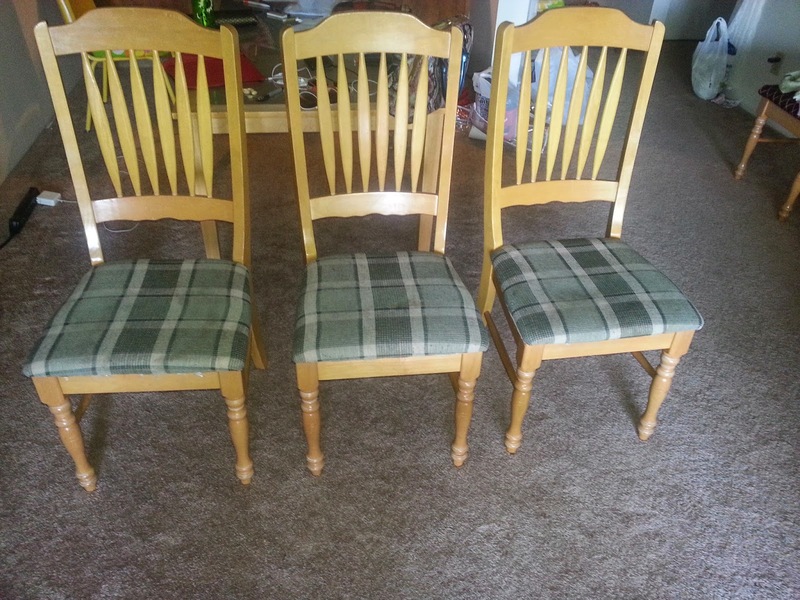 Home / Mixed Bag / How to upholster a chair ! 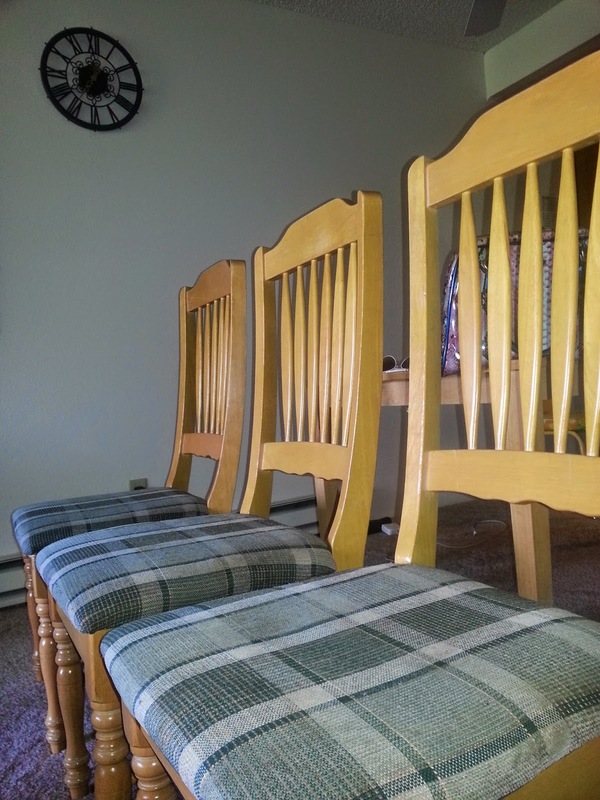 How to upholster a chair ! I have been playing around the idea of decorating my place from quite some time now. First thing which came to my mind was to replace my dining table. So let me also tell you that I am person who is stingy when it comes to spending money on furniture or decorations and so on. Neither am a person who is good at crafts or Do it yourself kinda person nahhhhh I am way too lazy and impatient to be artistic. I would really question myself before buying something..
Is this something I NEED right now?? Is it really worth the cost?? So these chairs of my dining table have been stained and looked dirty so instead of discarding them I decided to just upholster them and give them a new look!!! 4. Time and lots of patience! With clear agenda on my mind, i went out to shop for fabric. I really love hunting for good deals so looked at retail stores which sell smaller pieces at half the cost. 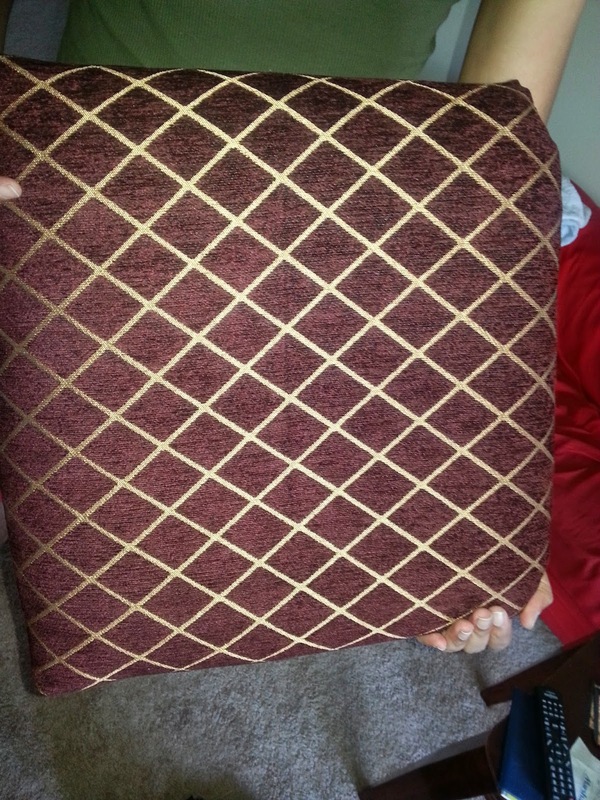 I found one fabric which i liked, it was dark chocolate brown with golden stripes but it was not big enough for 4 chairs, after looking at all the other options I was not ready to let go of this fabric which i liked. 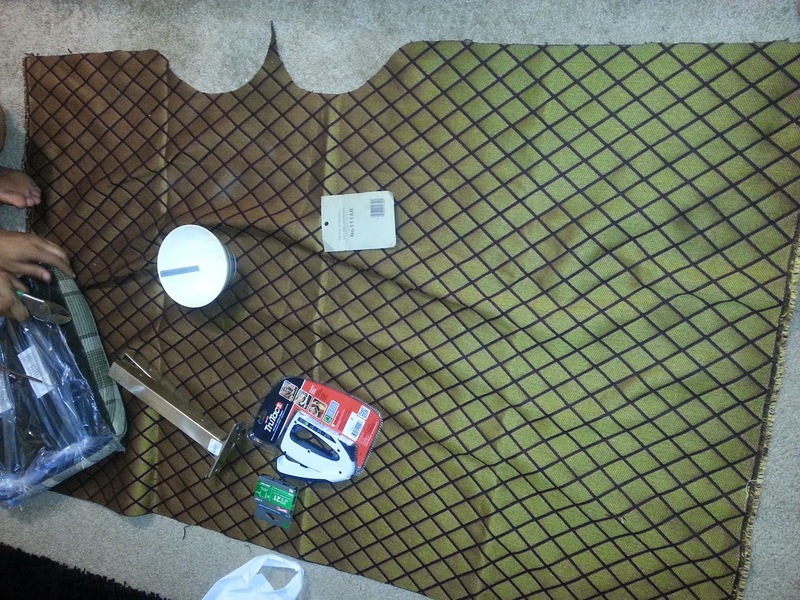 So I decided to experiment a little, I bought another fabric which is chocolate brown to match with the fabric that i already liked. 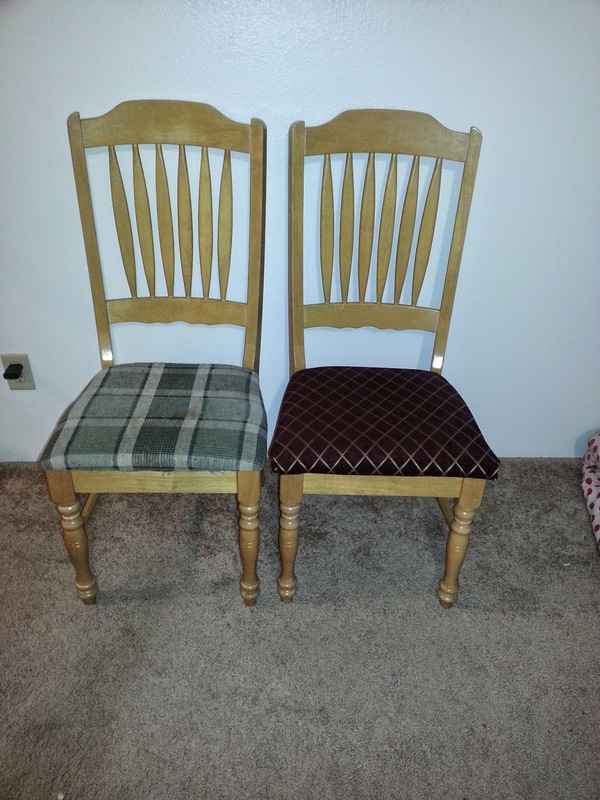 NOW two chairs of each fabric. I thought it might look good. 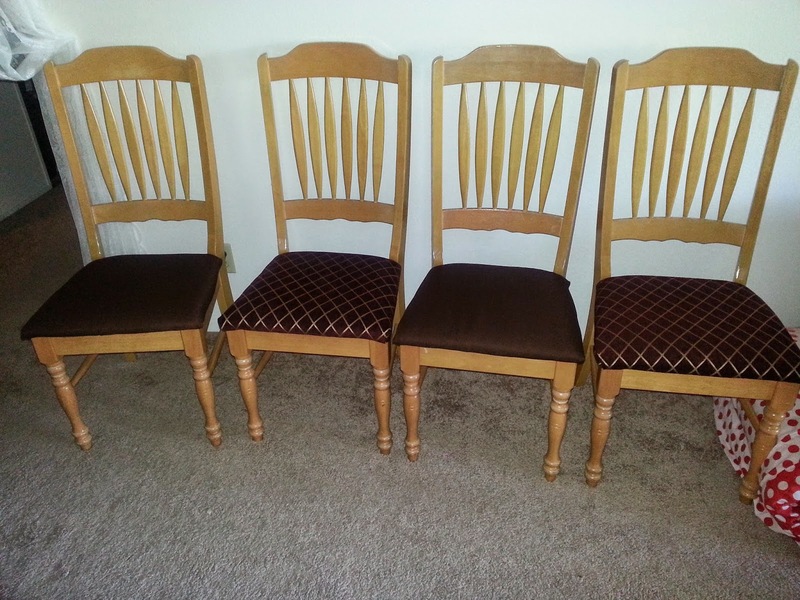 1: Look for screws to remove the seats from the chair. Unscrew and detach the seat from the chair. 2: Using your chair seat, create a cardboard template that is 1/4″ bigger on all sides. 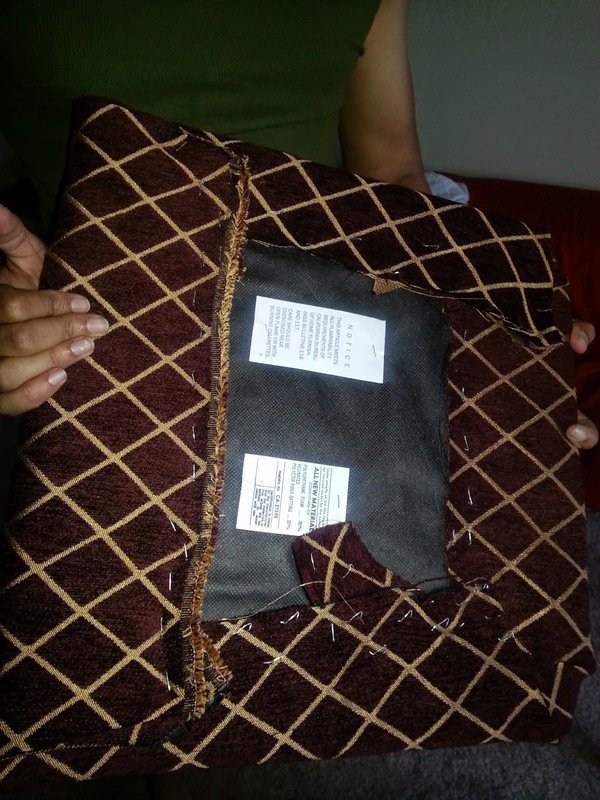 Use the template to cut the fabric. There are other creative ways to measure the seat size. I had the luxury of cutting anyway i wanted with so much fabric in hand. 3: Wrap and fold the seat with new fabric giving attention to the corners to make sure not to show any wrinkles on the seat. 4: STAPLE it with the STAPLE gun. BE careful, You can get hurt and always wear protection to your eyes while stapling. 5: Place the seat back on your chair. How does it look ??? And wait did I actually post a post on DIY !!!! Your chairs really look good Ananya! Kudos! i have got a nice taste for interior decorations ! You did a good job there! The chairs look very good :) My husband and I also re-did some old chairs bought at a second-hand store years ago....those lasted us for many years till we moved to a new place and left all the old furniture behind. Your chairs now really look good..nice effort or must say fruitful effort..
Beautiful and that's a lot of hard work. Those chairs are lovely!! Love the fabric with golden stripes. Classy!